industrial products and is potentially intoxicating if deliberately inhaled. 40 minutes. Users may maintain the high by continuing to inhale the fumes. ‘euphoria’ or a ‘sense of well-being’. 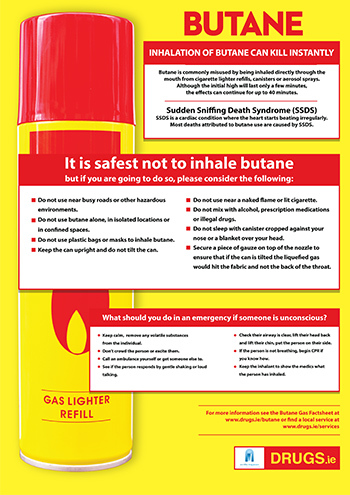 Deliberate inhalation of butane can instantly kill and there is no way to avoid this. What should you do in an emergency if someone is unconscious?